The Beatles were, and remain, one the world’s most famous pop groups, with millions of devoted fans around the world. John Lennon, the enigmatic and much loved front man of the band, has become an icon of popular culture with his music remaining as popular now as it was in period, and a natural fascination in all things associated with him – not least his cars. RM Sotheby’s, the world’s largest collector car auction house for investment-quality automobiles, will proudly offer the 1956 Austin Princess that was the personal property of Lennon and famously used by him and Yoko Ono in the 1972 film Imagine at its forthcoming London sale, 7 September. The car is prominently shown in the film which was created to promote Lennon’s Capitol Records album which shared the same title. 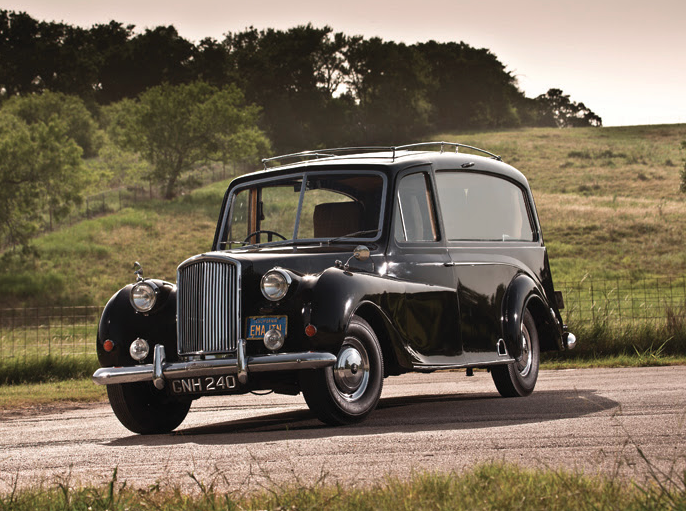 Austin Princess limousines were a popular mode of transport for The Beatles, and a number of them passed through the hands of Apple Records for use by the various band members. It is understood that the large rear door aperture made quick access to the vehicle an easy undertaking; a quality much appreciated when being chased by hundreds of adoring fans! The car is still fitted with the five aeroplane seats in the back that Lennon added to the Austin. The car on offer is complemented by its original vehicle registration/title document, signed by Lennon when he purchased it on 26 August, 1971, which, is in itself, is an important historical artifact. This upcoming sale of this wonderful car, which was donated to the Austin Rock and Roll Car Museum in Texas in 2008, will provide a once in a lifetime opportunity for any serious collector of Beatles or music industry memorabilia. A portion of proceeds from its auction will be donated to UNICEF, which is dedicated to improving the lives of children worldwide and which was a favourite charity of Lennon’s. Other charities set to benefit from its sale include Make A Wish America and Dell Children’s Medical Center.